Halitosis is another name for bad breath, which is an extremely embarrassing and socially unacceptable condition to have. It is not a medical/dental emergency but is very inconvenient and almost 25 to 30 percent of the world’s population suffers from it. The reasons for this foul odor emanating from the mouth are commonly dental cavities, poor oral hygiene, gum diseases, coated tongue due to inflammation, sore throat, sinusitis, and intestinal disorders etc. It can be intermittent as well, caused due to the consumption of some food items and/or drinks like tea, garlic, onions, and alcohol etc. In any case, it is not something that you or others can ignore and should be treated. While persistent bad breath, which may be due to a gum disease or other dental conditions, needs proper treatment by a dentist in Elkins Park, like Jenkintown Dental. You can follow these 5 remedies that can help you deal with Halitosis on a daily basis. 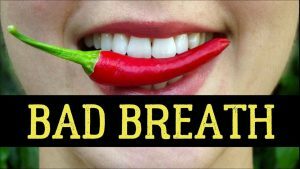 This is a pretty basic habit to have yet the best way to keep your mouth clean and your breath fresh. Failing to practice these two habits leads to bacteria and plaque building in your mouth which causes Halitosis. Which is why Jenkintown Dental one of the best dentist in Elkins Park recommend you brush at least twice a day and floss on a daily basis. Most people often ignore cleaning their tongue and just follow the brushing and flossing routine. But, bacteria can build up on your tongue too and is also a cause of Halitosis. To avoid this, clean your tongue daily by gently rubbing a toothbrush or tongue scraper on it. This will get rid of the bacteria that emits bad odors. Using a mouthwash boosts your dental and oral hygiene routine. Get an alcohol-free and antibacterial mouthwash from the market or make your own. Mix a cup of water with a teaspoon of baking soda and antimicrobial peppermint essence oil. Rinse your mouth with this mixture for 30 seconds for a fresher breath. Many people don’t drink enough water throughout the day which can ward off the bacteria in your mouth. Experts say that drinking plenty of water is the simplest way to reduce Halitosis. It helps wash away any bits of food left in your mouth which attract bad smelling bacteria. Also keeping yourself hydrated keeps you from developing a case of dry mouth and maintains the healthy production of saliva in your mouth. Getting regular professional dental care is just as important as maintaining dental hygiene on a daily basis. Pay your dentist a visit for regular check-ups and cleanings. As many dental conditions cause Halitosis, regular visits will ensure your dentist identifies and treats them early on or before they get worse. Looking for a dentist in Elkins Park? Contact Jenkintown Dental to make an appointment today. 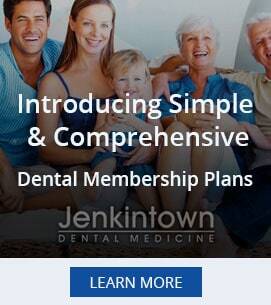 At Jenkintown Dental Medicine we practice a full scope of general and cosmetic dentistry with expertise ranging from porcelain veneers to dental implants, crowns, and bridges to straightening your teeth without braces through Acceledent. Drs. Murphy and Dr. Wilk can now correct a wide variety of so-called permanent cosmetic dental problems, and can literally redesign your smile. We offer free consultations, personalized attention, and customized solutions for your dental needs.